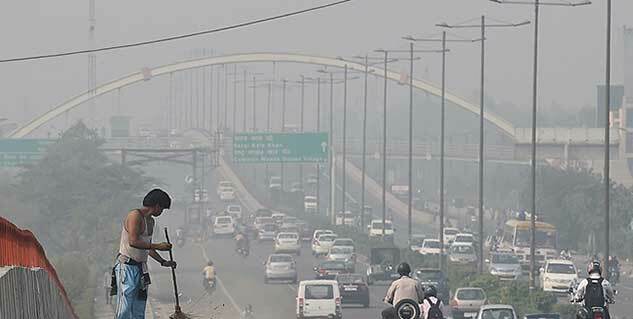 Delhi air quality will soon improve from "very severe" to "very poor"
The elevated levels of particulate matter due to Diwali firework is a matter of concern for Delhi-NCR. As per the reports, the particulate matter(PM) percentage in air increased drastically to an alarming level and is expected to decrease some fold by wednesday. 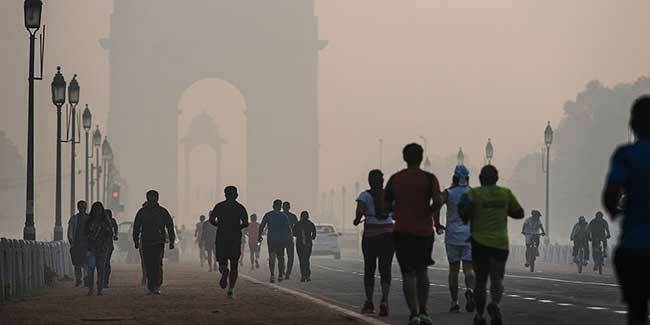 Pollution levels in Delhi, which remained choked with toxic air on Monday, will start improving only on Wednesday. As per a statement issued by the Delhi government, the level of certain pollutants spiked upto ten fold on Diwali eve. The major changes (in air quality) were observed after 7 pm, when fireworks started. As it is already known that Delhi is considered as one of the top polluted cities in the world. As per the statement the cumulative effect of existing pollution load and pollutants’ release due to fireworks, as well as adverse meteorological conditions, led to the present situation. It was found that the air quality was dropped to severe levels on Monday. The National Air Quality Index reported pollution levels at 500, the highest it can go at all seven stations that measure particulate matter (PM). The reading range between 400 and 500 on the National Air Quality Index means the air is severely polluted. The PM 10 level rose to 1,560 micrograms per cubic meter at 2 am. This particulate matter is highly dangerous especially for pregnant women and kids. According to the World Health Organization, Delhi is the eleventh most polluted city in the world. Since September this city has not seen a single good air-quality day. It is crucial to take some quick step to manage this problem otherwise it will cause severe problems even to genetic level because of its toxicity.